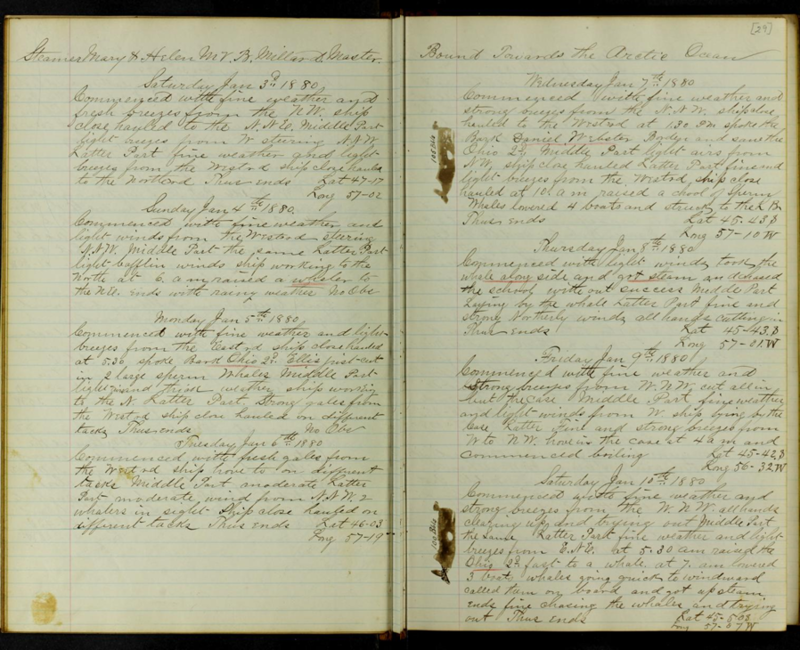 This project seeks volunteers to help transcribe sea ice and weather observations from the logbooks of whaling ships that sailed Arctic seas from 1849 to 1912. This information is used to improve climate and sea ice data sets used by scientists every day. In this project we use Microsoft Excel to guide the collection and organization of information extracted from the logbooks posted online, as in the example below. Some logbooks are more challenging than others. Help is available on the forum from our dedicated community of citizen-scientists. 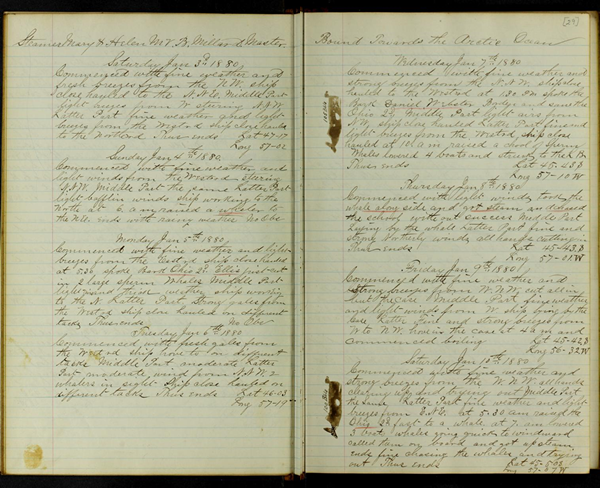 Pages from the logbook of the whaling steamer Mary and Helen on a voyage to the Arctic ground in 1879. Preview this logbook.